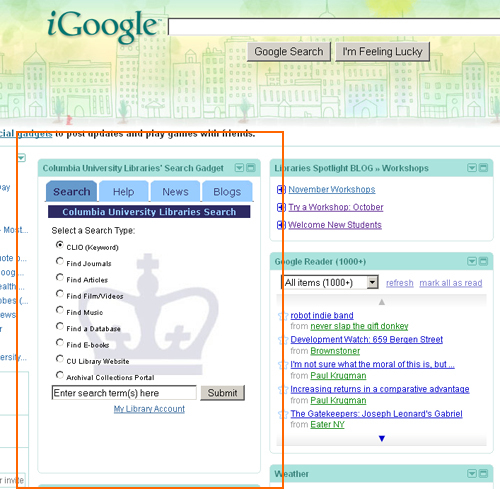 The new iGoogle Gadget features a variety of search options for Columbia University Libraries resources, including books, journals, articles, music, film/videos, and much more! The Gadget also features news, blogs, and links to libraries and research help. Install it on your iGoogle home page using the instructions below. 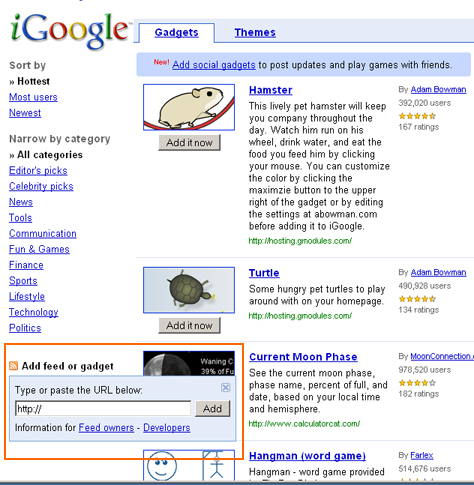 On the bottom of the far left toolbar, click "Add feed or gadget"
This entry was posted in Tools & Tips on November 18, 2009 by Jen.